Congratulations to my friend Father Seamus Malvey who was solemnly professed yesterday at the Abbey of Gethsemane. Directions to the monastery always include the last direction...either left or right at caution light--depending upon what direction you are coming from...very symbolic. When you leave the Monastery you have to turn left or right at the red light, depending upon where you are going. What the piece below doesn't mention about the former "Jim" Malvey is that he arrived at the monastery on September 11, 2001. I know him from the days we were in school together between 1983-1986 before he was ordained a priest for Palm Beach. I ran into him a few years ago when I was messing with the video equipment in the welcome center--neither of us recognized each other at first (time has a way of doing that) but both recognized the other's voice. When Seamus Malvey takes his final vows as a Trappist monk today, he will be entering a third phase of his religious evolution. The first phase consisted of 20 years in the Christian Brothers order. Then he became a priest in the Diocese of Palm Beach, serving nearly two decades at the Cathedral of St. Ignatius Loyola in Palm Beach Gardens, in other parishes and in several diocesan appointments. His imagination was captured back in high school when he read The Seven Storey Mountain, the memoir of Thomas Merton, probably the most famous Trappist monk of the 20th century. Merton's combination of mysticism and outspoken political activism galvanized the post-World War II generation of spiritual seekers, many of whom followed him to the Abbey of Gethsemani in the hills of Kentucky. But it wasn't until after his retirement from the diocese that Malvey finally made it to Gethsemani. "I had always thought of being a contemplative, so I said, let me just write them and at least be rejected." 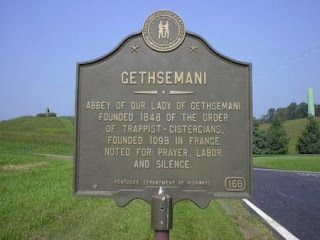 The monks at Gethsemani range in age from 30 to 92 and usually do not take postulants as old as Malvey, but the monks of the order voted to accept him. There is a decidedly egalitarian streak at the abbey, where a priest or a Ph.D. may be assigned to do manual labor and abbots are elected by a community vote. Still, he was surprised when the abbot transferred him from working in the laundry to running the abbey's busy visitor center and bookstore, where busloads of day-trippers and retreat-goers arrive year-round. The abbey was established in 1848 by the French Cistercian order. From the beginning the abbey was self-sustaining, even built from bricks made by the monks. They still grow their own vegetables and make their own shoes and other necessities. The monastery does a brisk year-round business in its signature cheeses, bourbon-laced fudge and fruitcakes. With 2,300 acres to oversee, the order even has its own forester monk. Besides their daily duties in the kitchens and the fields, the monks chant the Psalms seven times a day, starting at 3 a.m., as they have every day since the abbey was founded. Long periods of solitude produce interesting results, said Malvey. "I can't pretend I'm humble and holy," Malvey says. "Eventually, it will break down and finally you become yourself. That's when grace takes over. God calls a person, the real you, not the person you would like to be."